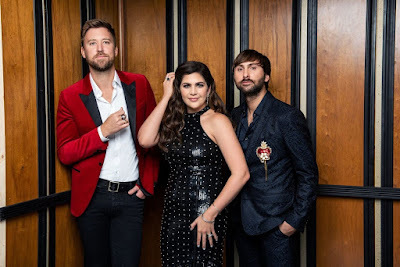 Current CMA "Vocal Group of the Year" nominee Lady Antebellum has announced their first-ever Las Vegas residency OUR KIND OF VEGAS launching February 8, 2019 at the Palms Casino Resort's Pearl Concert Theater. Known for taking their headlining run worldwide, Lady A will bring Nashville to Sin City with stripped-down performances each night that will often feature the songwriters behind the group's fan-favorite hits. Live Nation is the official promoter for the one-of-a-kind residency with tickets becoming available to fan club members Oct. 29 before the public on sale Nov. 2 at 10 a.m. PT through ticketmaster.com/LadyA. "Las Vegas has always been a special place for us both personally and as a band," Hillary Scott said. "I've celebrated my birthday in Vegas and we won our first award ever as Lady A at the ACM Awards. So, we are looking forward to making it our second home, bringing along some of our friends from Nashvilleand creating a show unlike we've ever put together before." 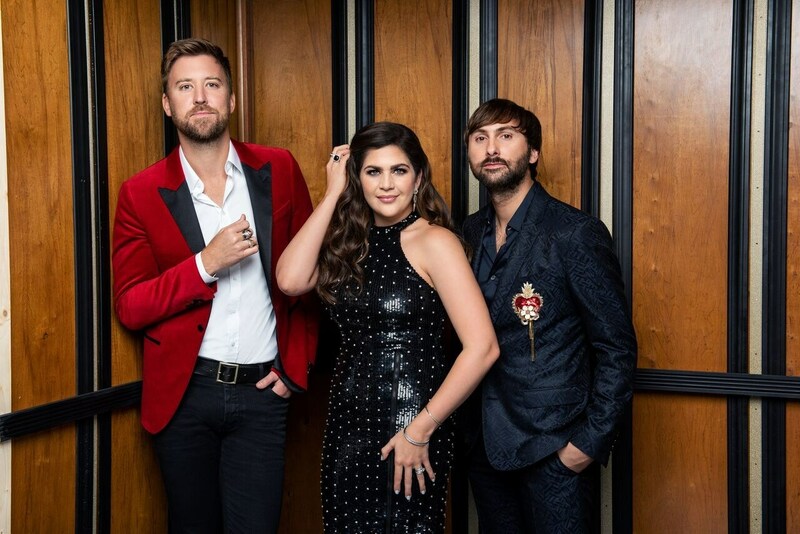 "We're so excited to welcome Lady Antebellum to Palms in 2019," Jon Gray, General Manager of Palms Casino Resort, said. "Our residencies represent a diverse variety of musical genres and to feature such a respected country group like Lady A is sure to be a huge hit with all their fans around the world." Last night Lady A gathered family, friends and industry alike at Nashville's Sinema for a sneak peek of the OUR KIND OF VEGAS residency. As the restaurant was embellished with casino tables, slots and signature decorations, attendees took in a magician's tricks and tarot readings after the group gave an intimate celebratory toast. Over the course of their decade-long career, Lady Antebellum has amassed record-breaking success ushering in more than 18 million album units and 34 million tracks sold, with over two billion digital streams. In addition to critical acclaim the trio has nine No. One hits to their name including the 9X PLATINUM hit "Need You Now" which is the highest certified song by a Country group. Lady A has earned ACM and CMA "Vocal Group of the Year" trophies three years in a row and countless other honors including seven GRAMMY awards, Billboard Music Awards, People's Choice Awards and Teen Choice Awards along with first-ever Tony Award nod this year. The trio recently wrapped their co-headlining SUMMER PLAYS ON TOUR after hosting capacity crowds at venues and amphitheaters across the country. Lady Antebellum recently signed with BMLG records. For more information, visit ladyantebellum.com. The Pearl is Las Vegas' premier concert theater boasting accommodations for up to 2,500 ticket holders. The newly renovated venue features a stage just four feet from the floor with the farthest seat a mere 120 feet back, offering the utmost in intimate concert viewing. Private and semi-private skyboxes are located on each side of the venue offering private bars, lounges, and restrooms. The Pearl is a marvel of modern technology boasting top-of-the-line sound and video equipment throughout. Hard wired to Studio at the Palms, The Pearl allows artists to create a cost-effective live album with efficiency. For more information, please visit palms.com. Live Nation Entertainment (NYSE: LYV) is the world's leading live entertainment company comprised of global market leaders: Ticketmaster, Live Nation & House of Blues Concerts, LN Media and Artist Nation Management. Live Nation Las Vegas produces residency shows from Gwen Stefani, Lionel Richie, Backstreet Boys and Florida Georgia Line at Zappos Theater at Planet Hollywood Resort & Casino; Lady Gaga, Britney Spears, Aerosmith, Bruno Mars, Stevie Wonder and Queen + Adam Lambertat Park Theater at Park MGM; Mariah Carey at The Colosseum at Caesars Palace; and Blink 182, Billy Idoland Lady Antebellum at Pearl Concert Theater at the Palms. Live Nation Las Vegas also brings other world-famous artists to many of the city's other premier concert venues including T-Mobile Arena, Mandalay Bay Events Center, MGM Grand Garden Arena, Las Vegas Village, House of Blues, Downtown Las Vegas Events Center, The Joint at Hard Rock Hotel & Casino Las Vegas, and more. For additional information, visit livenation.com. Find Live Nation Las Vegas on Facebook, Instagram and follow us on Twitter.